As I mentioned in a previous post, I have a TON of painted paper scraps left over from my chameleon projects. 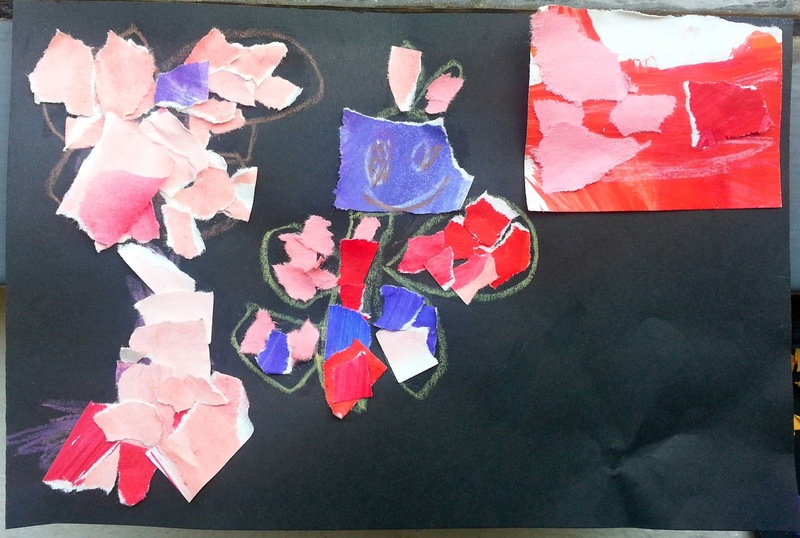 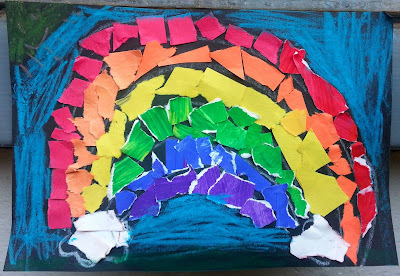 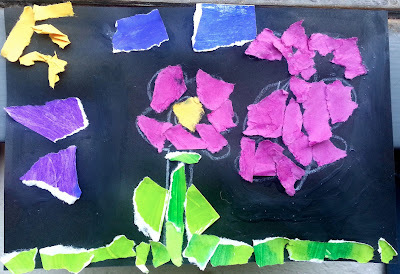 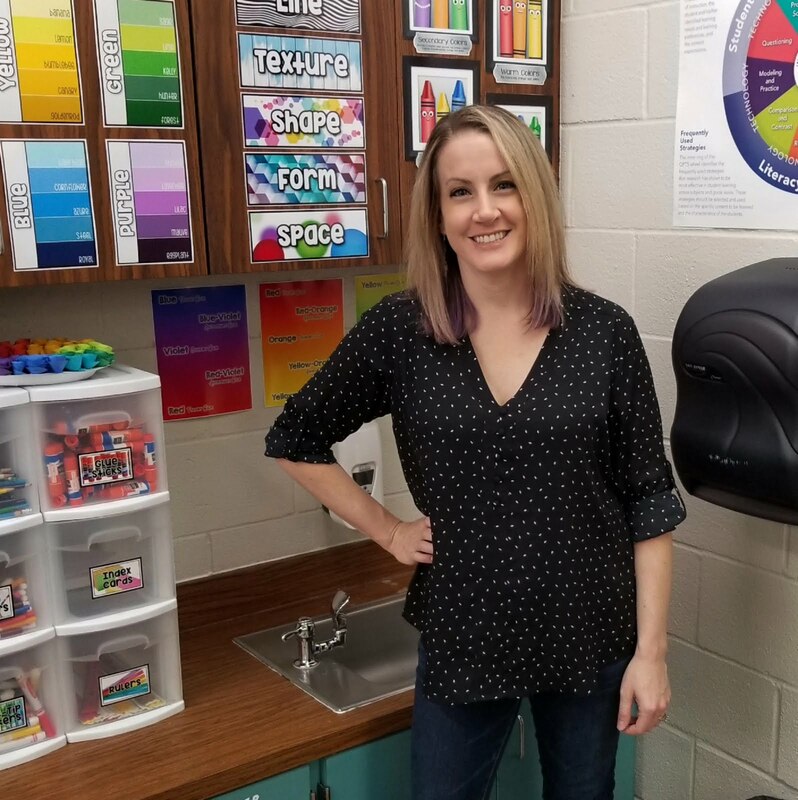 With my kindergarten I decided to make torn painted-paper rainbow mosaics... but with my 1st graders I wanted to do something a little more open ended. 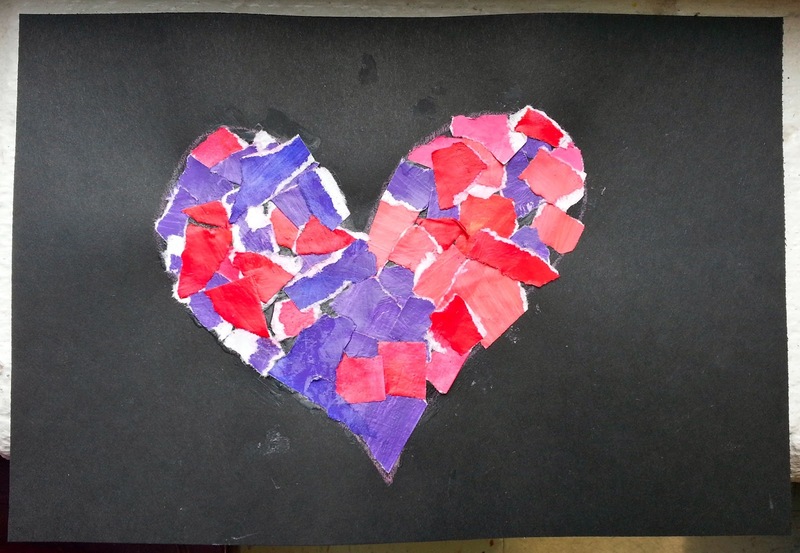 I showed students a brief powerpoint which contained a few examples of some really awesome mosaics.. then explained the process we were going to use. 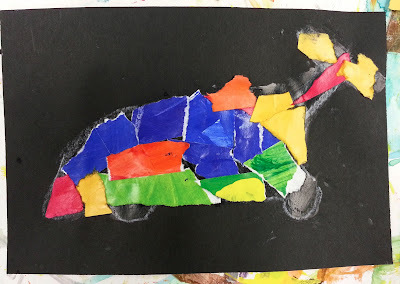 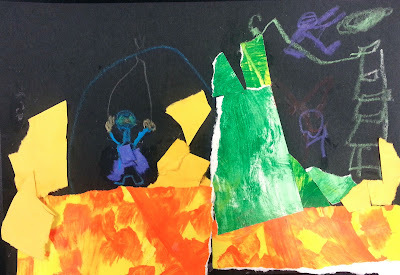 I explained that to start our mosaics, students would be using construction paper crayons on black paper to make a contour drawing (an outline) of anything they'd like. 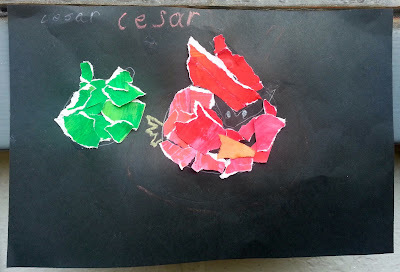 Then instead of coloring our contour drawings in with crayons or paint, we would "color them" in with torn paper! 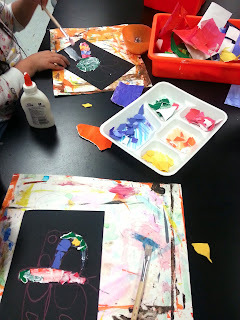 Students used bottled liquid school glue and paint brushes to apply the glue and torn paper. 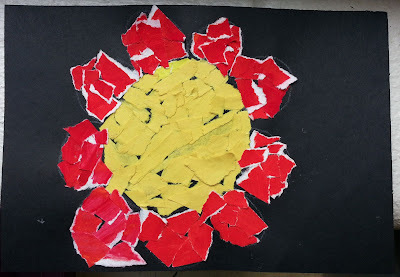 I really like the results! Students got to be as creative as they wanted to with this one! 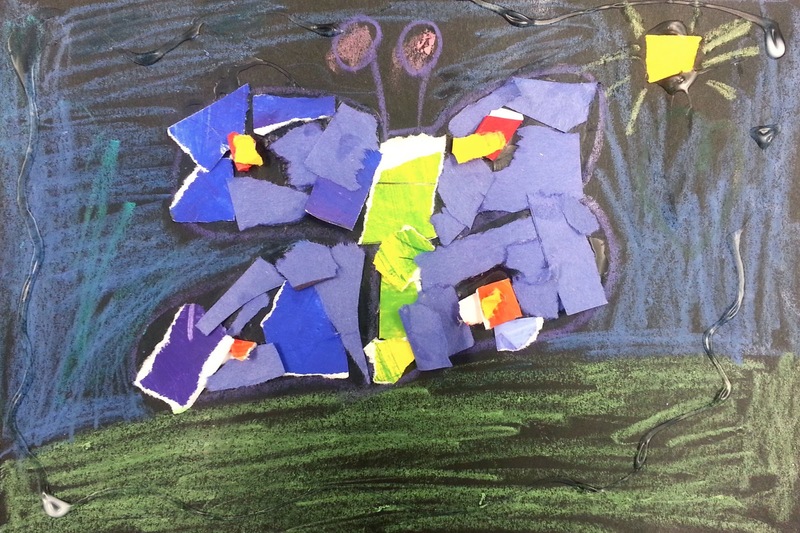 On the last day as some students were finishing up, we read the book "Pezzettino" by Leo Lionni. 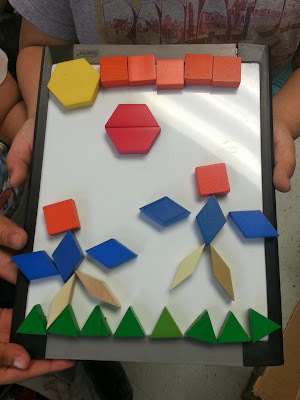 Then I grouped my students into groups of three and gave them a mini white board and a tupperware full of magnetic math pattern blocks. Students were invited to work in their groups to create temporary mosaics with the pattern blocks (something I remember loving to do when I was little)!